1. Air Conditioning, Heating, and Refrigeration Institute. AHRI 550/590, Standard for Water Chilling Packages Using the Vapor Compression Cycle, Appendix D, D2.1. 2. Leslie, J. 2010. 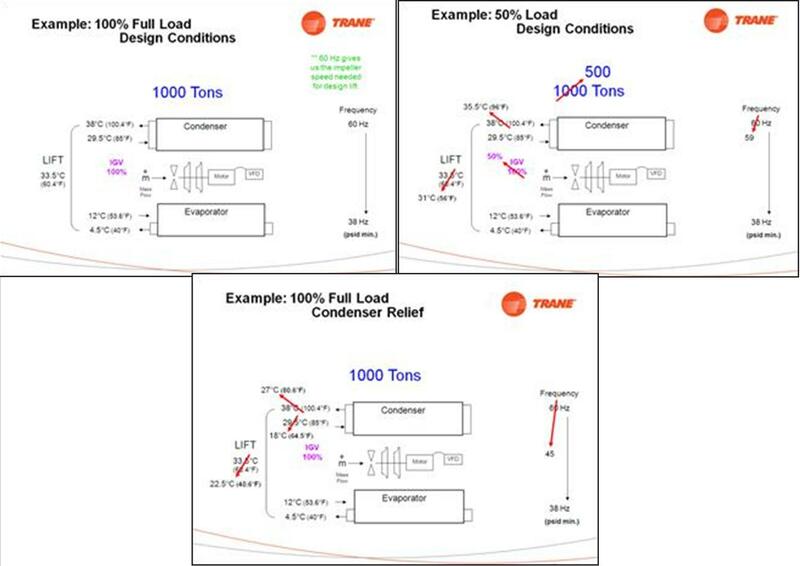 “When does VFD Chiller Make Sense?” CenTraVacTM Chiller Product Promotion Tool, Wis.: Trane. 3. Geister, R. and Thompson, M. 2009. “A Closer Look at Chiller Ratings” ASHRAE Journal, December 2009 : p.22-32. 5. Hartman, T. 2001. “All-Variable Speed Centrifugal Chiller Plants.” ASHRAE Journal, September 2001 : p.43-51. 7. Schwedler, M., and B. Bradley. 1995. “Tower water temperature – control it how?? ?” Engineers Newsletter 24(1) LaCrosse, Wis.: Trane.